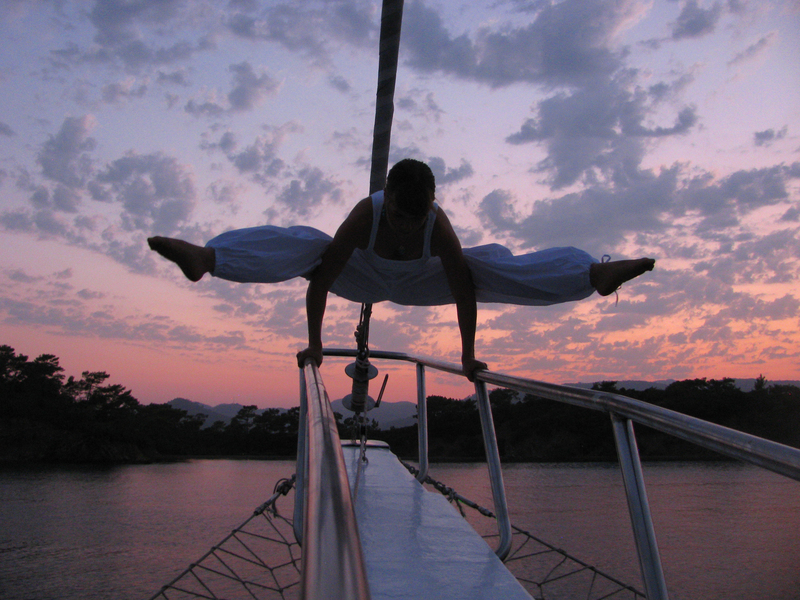 Broaden your senses, enjoy nature, find peace, strengthen your body and feed your spirit on a spectacular cruise through the Eastern Mediterranean Sea with RYT accredited Forrest Yoga Teacher and Massage & Wellness Therapist Katrin Ender. Start your day with a swim before a fresh and healthy breakfast. Then, let Katrin lead you through your first Forrest Yoga class for the day. While cruising to the next bay you may want to take a nap, read a book, or chat with fellow travelers. Explore the land, or go for another swim before lunch. Local vegetarian dishes can be arranged upon request. Your next Yoga class starts in the late afternoon, enjoyed with a spectacular sundown. Can you sense what’s coming next? … Nothing, but relaxing, dining, and feeling nature, the smell of the sea water, the warm fresh breeze of the evening settling on your skin. Feels great, doesn’t it? And then, it’s up to you where you prefer to sleep – in your cabin, or on deck under a sea of stars. Let your dreams flow before your next morning swim. * Please note that this is only a guideline. You are free to design your day as you please. Also note that our route may vary slightly depending on weather conditions, at the Captain’s discretion. 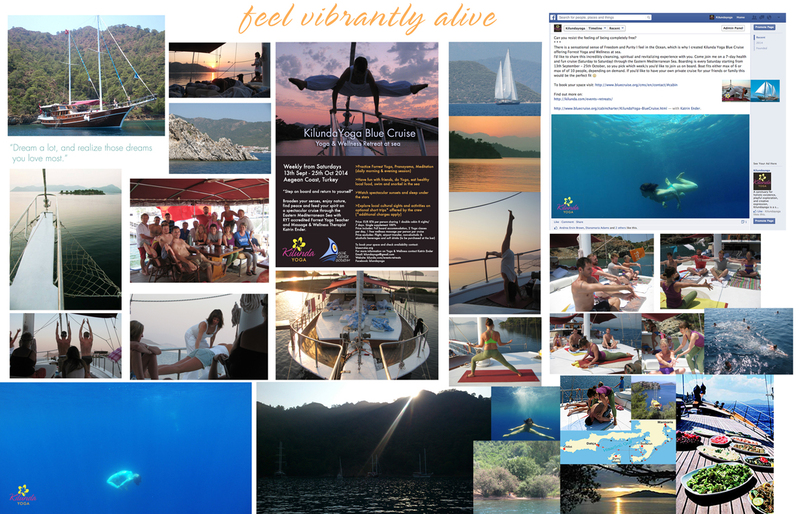 Kilundayoga Blue Cruise is in proud association with The Manta Trust. Kilundayoga is donating to the conservation of our oceans, and participants will get the chance to learn more about the importance of marine conservation as part of the Kilundayoga Blue Cruise experience and have the possibility to make donations on board or online.